When in search of seed stock for your Angus herd, you need to search for quality males and females to ensure success with your cattle venture. Cattle that come from weak or temperamental heritage can spell trouble for your ability to raise healthy, fully productive Angus. To prevent purchasing ill-bred cattle, deal with only reputable sources such as Southfork Angus. We have years of experience raising the type of seed stock that propels cattle ranches and farms to success and profitability. Southfork strives to turn out reliable producers in our seed stock by paying close attention to lineage to breed out unwanted qualities. Weaknesses in how cattle produce can typically be traced back to a mother or father with inadequate heritage to make them strong physically and high producers in calves, meat and milk. When cattle are not quiet tempered, they are difficult to handle, have less weight gain and may have a difficult time during calving. They must be of a good nature for you to deal with them in an effective manner and to ensure that they grow and mature in a profitable fashion. We sell only fertile cows and bulls for seed stock. Each one goes through the necessary examinations to ensure this fact. Without the ability to procreate, your cattle will not multiply to fulfil the additional demand throughout the years. Another important characteristic that we ensure is in our cows is their ability to be maternal towards their calves. This helps raise healthy, secure and even-tempered calves. Our cows start off with a mild personality, which helps bring out their maternal side. Bulls also need to have the right breeding to be fertile, mild mannered and easy to handle. You should never underestimate the importance of purchasing a properly bred bull to add to or to create your herd. We do not and that is why we deliver bulls that contain the right pedigree to provide these characteristics. 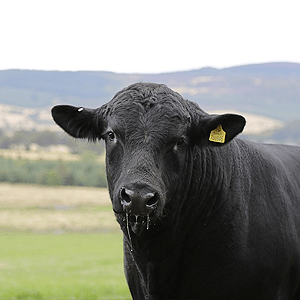 For further details on the seed stock for commercial Angus Beef that you can receive from Southfork Angus here in the Mornington Peninsula, consult with us at your convenience. Our desire is to partner with you in your cattle venture by providing the base stock or additional stock that you require to ensure your herd thrives in adequate numbers to deliver quality meat or animals to your buyers.